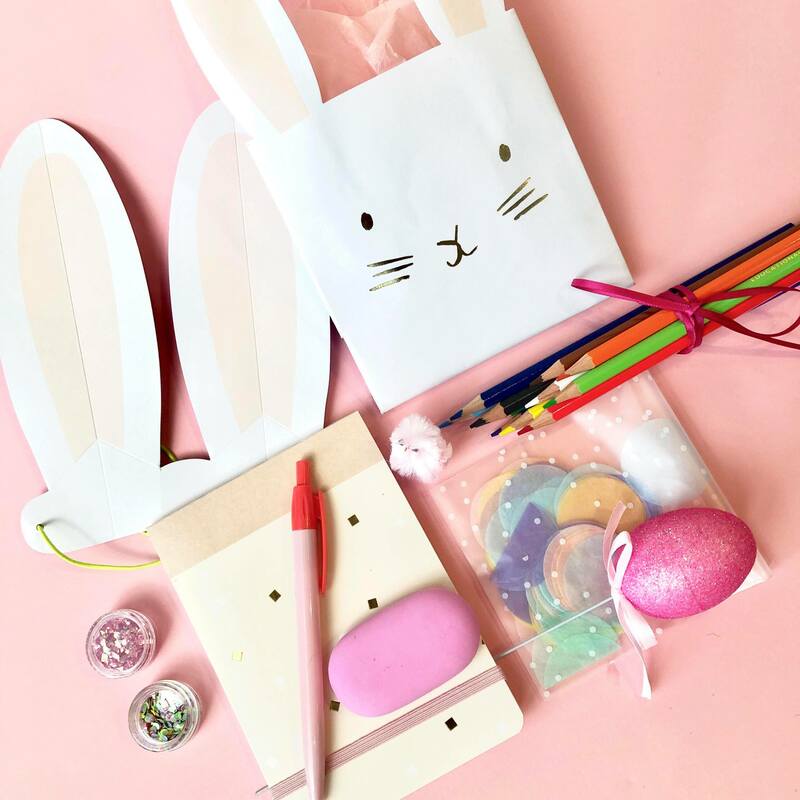 A fun little happy Easter Gift bag to delight the little artists in your life ready to go. Each gorgeous gift bag includes : a set of Bunny Ears headband, a set of drawing pencils, and drawing pen, an eraser, a sparkly Easter egg on a stick, 2 x glitter sequins (perfect for creative easter making) a little Easter Chick, a small bag of celebration paper confetti, colour ranges include pastel pink, lemon, lime and lavender. if you order more than one bag, we will send a selection.